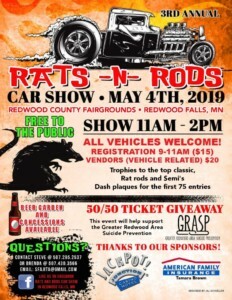 3rd Annual Rats-N-Rods Car Show May 4, 2019, from 11am to 2pm, at the Redwood County Fairgrounds in Redwood Falls, Minnesota! 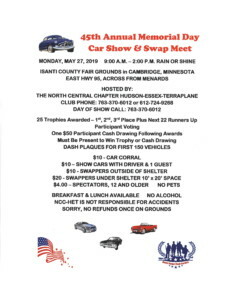 Spectators are FREE!!!! 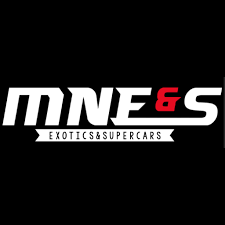 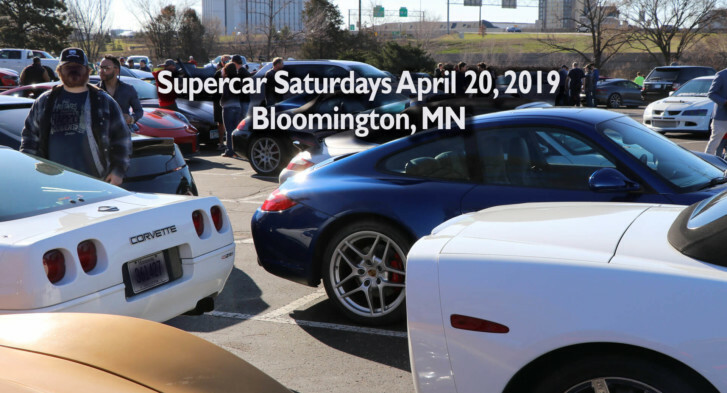 All classic cars are welcome to join in on one of the best roll ins in the Midwest. 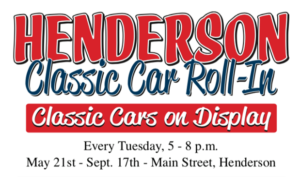 The Henderson Classic Car Roll In begins May 21 and is held every Tuesday night from 5 - 8 pm. 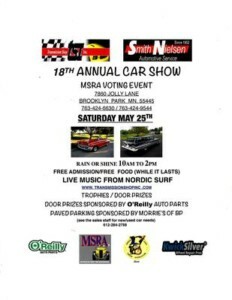 Stroll the historic Main Street of downtown Henderson and visit all the businesses and food vendors. 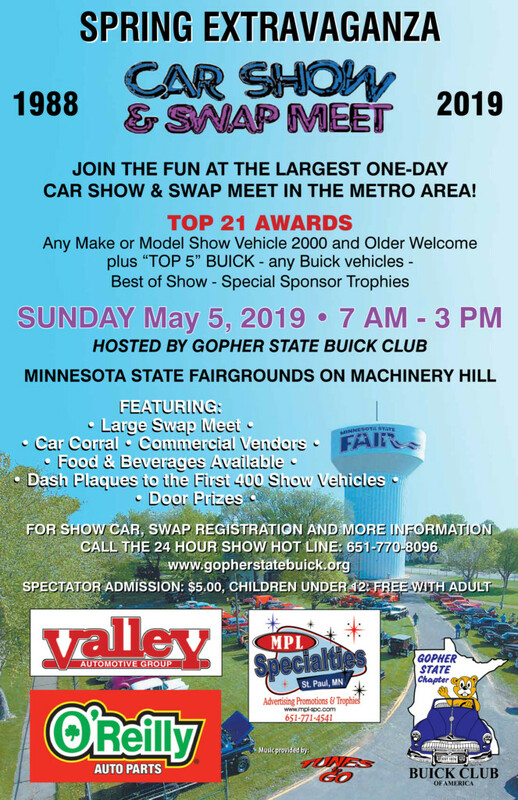 Registration is free for classic car owners and visitors. 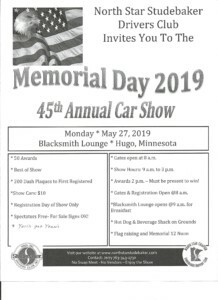 North Star Studebaker Drivers Club 45th Annual Memorial Day Car Show Takes place Monday, May 27, 2019, from 8am to 3pm, at the Blacksmith Lounge In Hugo, MN. 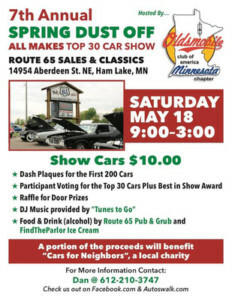 For More Information please contact Jerry at 763-343-1730. www.northstarstudebaker.com PRINT FLYER HERE!